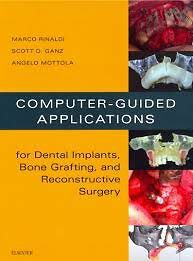 Computer-Guided Applications for Dental Implants, Bone Grafting, and Reconstructive Surgery is the first text to provide state-of-the-art information on procedures and techniques used in guided dental implant surgery and bone grafting. It begins with the basic principles of guided dental implants including anatomical obstacles, pathologies, and pharmacological management of patients, and then uses a templated, atlas format to discuss clinical case studies. With a companion website includes videos demonstrating surgical procedures, this text makes it easier for the entire surgical team to share in the diagnosis and treatment planning for patients receiving implants.